County Prosecutor Robert McCulloch follows County Police Chief Jon Belmar into the press conference announcing an arrest in the shooting of two police officers. Following the shooting of two police officers in front of the Ferguson Police Department we'll be posting the latest updates and what we know here for you. Thank you for joining us. 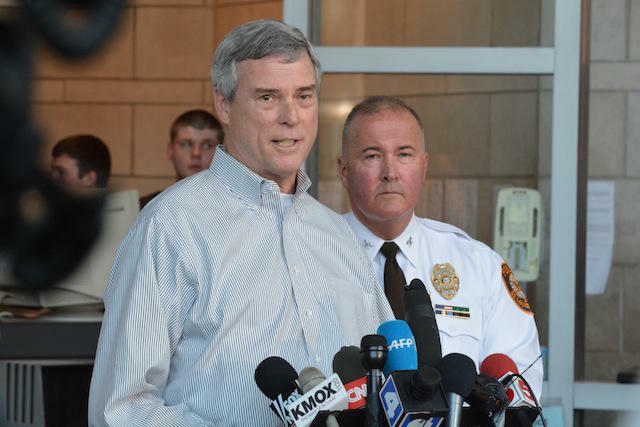 St. Louis County Prosecutor Bob McCulloch and police chief Jon Belmar on Sunday announce arrest of a suspect in the shooting of two police. For the latest updates on this developing story, see our live blog. Two St. Louis-area police officers monitoring protesters at the Ferguson police department were shot shortly after midnight. While the injuries were termed serious, both officers were released from the hospital later in the morning. Looking toward Thursday night, when at least one group has called for a candlelight vigil at the department, law enforcement officials announced that the County Police Department and the Missouri Highway Patrol would take over security around the headquarters on South Florissant Road. The dominoes keep falling in Ferguson. 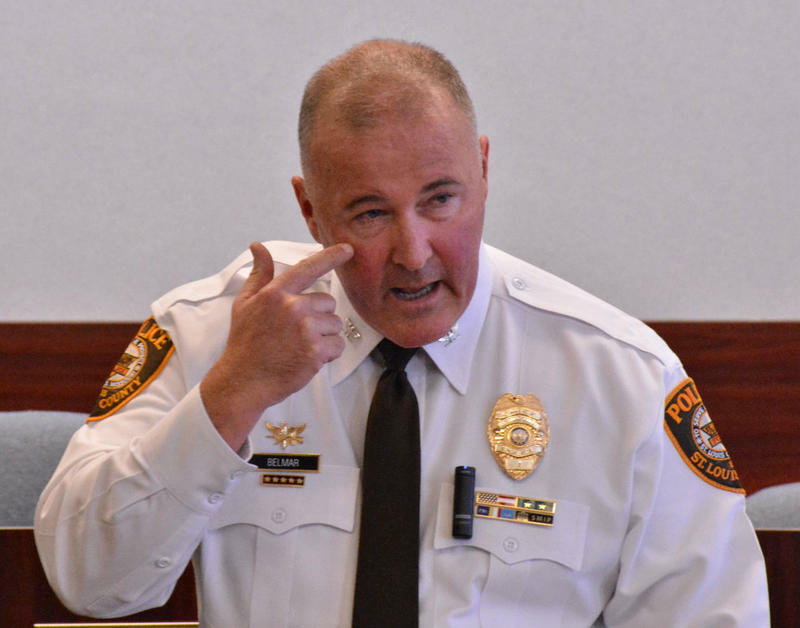 Embattled police chief Thomas Jackson will resign March 19, the city announced Wednesday afternoon. He is the sixth Ferguson employee to step down or be fired since a scathing Department of Justice report found that Jackson's officers routinely and deliberately violated the civil rights of Ferguson's mostly African-American population. The shakeup of Ferguson’s government continued in earnest on Tuesday with the resignation of city manager John Shaw. 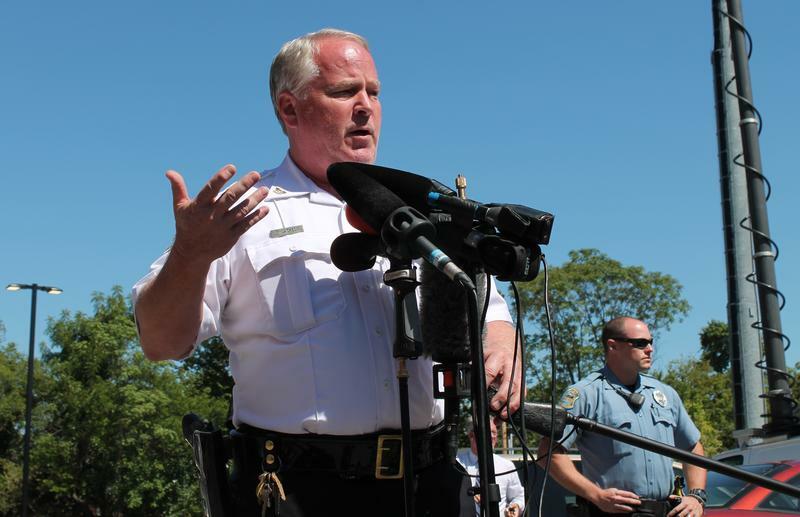 It’s easily the most significant departure yet from a Ferguson city official since a Department of Justice report sharply criticized the city's police department and municipal court system.